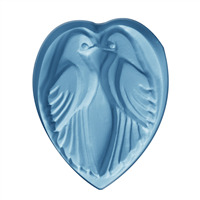 This romantic mold features a pair of doves carrying a heart. 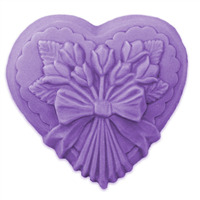 The Heart with Doves Soap Mold is perfect for weddings or Valentine’s Day. 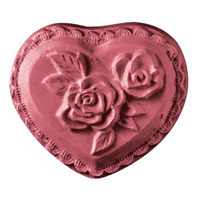 COMMENTS: This mold made some very beautiful Valentine's Day soaps. It has been well used. I also like the 4 ounce size which is where I try to keep my soaps. I do enjoy working with Milky Way molds and this one is no exception. Will be ordering more.